Jobs in Canada for Immigrants. Canada is extremely popular with immigrants because of the high quality of life and excellent employment opportunities, however getting a foothold on the Canadian employment ladder may not be as simple as it seems. Many industries require Canadian work experience before offering any immigrant a position, which may make it quite challenging to gain access to a similar field of employment as your prior experience. Many immigrants find that they need to take a step down the employment ladder in order to gain some work experience in the country. There is however some shortage sectors where immigrants are welcome in order to fill the employment gaps. This article looks at some of the best jobs in Canada for immigrants and how best to secure a position. The engineering sector as a whole is a shortage employment sector, but the fields of chemical engineering, mining engineering, geological engineering, petroleum engineering or civil engineering are all in high demand. If you have more than one year's experience in any of these fields, you will be permitted to apply to enter Canada as a Federal Skilled Worker and will not require a pre-existing valid offer of employment in the country. In Canada, there is a currently a demand for suitably qualified and experienced IT professionals in a range of areas. These include computer programmers, interactive media developers and computer engineers. Anyone with relevant work experience within this sector stands in good stead of securing suitable employment for their skills within the country. There are a number of shortages within different medical spheres and these roles can easily be filled by skilled and experienced immigrants. Medical sonographers, cardiology technologists and medical radiation technologists are all in short supply while physiotherapists, occupational therapists, audiologists, speech therapists, respiratory therapists and medical technicians are also welcomed from among the immigrant population. The land surveying sector has long been a shortage area in Canada and is likely to continue to be so for some time into the future, meaning that any immigrants with experience in this field will do well when it comes to job hunting. Those with experience in urban development and highway development are likely to find it especially easy to secure the position of their choice and with roles in both urban and rural areas on offer; this is a flexible career choice that will suit the needs of many immigrants. Like many other medical fields, the nursing profession in Canada is short-staffed and on the lookout for immigrants to fill the employment gaps. If you have a recognized nursing qualification in your home country, you are likely to be able to find a suitable role in a Canadian hospital, whether in a private or public care facility. Both long and short term positions are likely to be available, to suit the flexibility needs of immigrants. Although this is a very narrow niche, there is a huge demand in Canada for qualified and experienced oceanographers as the country strives to exploit its enormous mineral wealth. The demand for skilled workers in this sector is growing year on year and there are not enough Canadians who are able to undertake these roles, hence immigrants will be welcomed to fill the skills gap. Possibly one of the best paying and most in demand roles are in the financial sector and immigrants who have relevant experience and qualifications in their home country can find that they can secure roles which pay salaries of up to C$74,435 annually. This is an especially lucrative field for immigrants as knowledge of foreign languages and foreign markets give them an edge over home grown competition making their skills even more appealing to Canadian employers. With many Canadians who work in this sector approaching retirement age and not enough younger workers available to take their place, immigrants are very much in demand in the construction management sector. Responsible for overseeing all aspects of construction projects and ensuring cooperation between different contractors, this is a complex role but salaries make up for the responsibility by commanding up to C$170,000 per year. 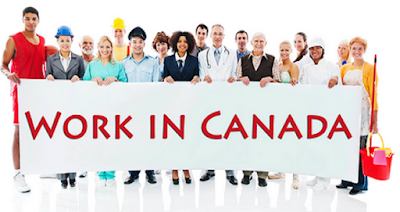 For those immigrants who lack specialist skills, it is still possible to secure employment in Canada. The hospitality and customer services industries are especially welcoming to immigrant workers, as knowledge of foreign languages and cultures is an advantage in these sectors. The best place to search for employment is on the internet, where there is a number of websites advertising a wide range of positions in all sectors in Canada. There are also agencies which specialize in supplying immigrant workers to a range of professions across the country and this is a good way to secure a role before arriving in the country.